Our favourite talent architects, CloseUp, are back with another wave of announcement for their 2 day festival at the snazzy Hoxton Square Bar and Kitchen in Shoreditch, London. 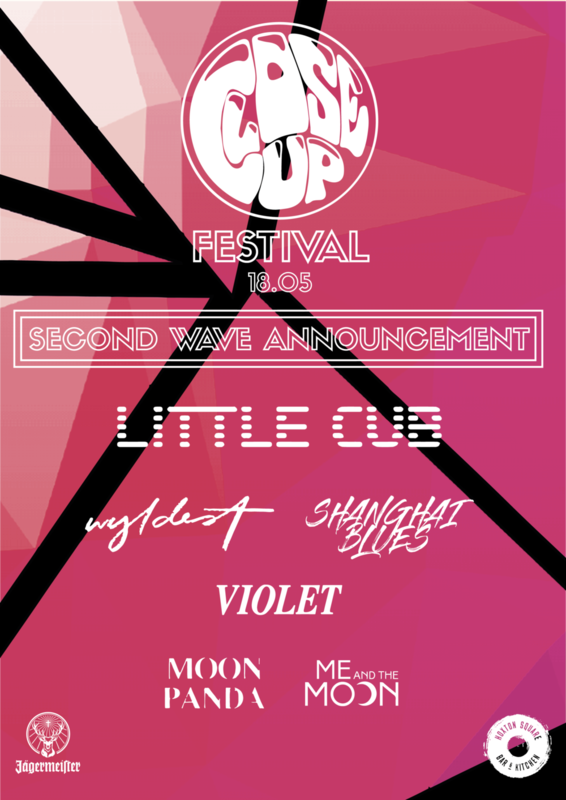 CloseUp, who have recently taken the jump of becoming an indie record label amongst other things, have just announced the first wave of Saturday acts on the 18th May - and let me say one thing: it absolutely screams up and coming. Joining an already banger packed lineup we see hot and sweaty indie-rockers Shanghai Blues join the stage, alongside indie-rock 5 piece, Violet, who will be assuredly shaking the foundations of Hoxton with their punchy Britpop tunes. The stunningly poetic Me & The Moon will also be joining the lineup this Summer. Having recently finished their Independent Venue Week Tour, I’m sure they’ll be keen on sharing their buzzy and cheerful bangers with us once more. London dream-pop trio, Wyldest, will be gracing us with their upbeat synth-led bops, alongside London-circuit veterans Little Cub and slow n’ steady Moon Panda. With 7 more acts yet to be announced for Saturday , the warm summer sun is just starting to show itself in Shoreditch!